A legal loophole, created by European politicians and adopted by the UK, is allowing support for Hezbollah in Britain. The terror organisation, however, should be banned outright. A CUFI-UK petition calling for the full ban of Hezbollah has reached nearly 20,000 signatures and thousands of CUFI supporters have written to the Home Secretary. Meanwhile, other Hezbollah leaders openly mocked and joked about the EU policy when it came into force. As we saw in 2017 and 2018 at London’s “Al-Quds March”, the Hezbollah flag, which features an assault rifle, is used for both. But this is about more than just the flag. The suggestion that Hezbollah’s military and political wings are different is used by Hezbollah as a smoke-screen to legitimise its terrorist activities. Surprisingly, the loophole was an invention of European politicians and not Hezbollah themselves. Because Hezbollah participates in elections in Lebanon and has members in the Lebanese government, the EU made the distinction in 2013 enabling it to outlaw the military arm while giving legitimacy to the Hezbollah political party thus protecting the basic rights of its voters or its candidates. 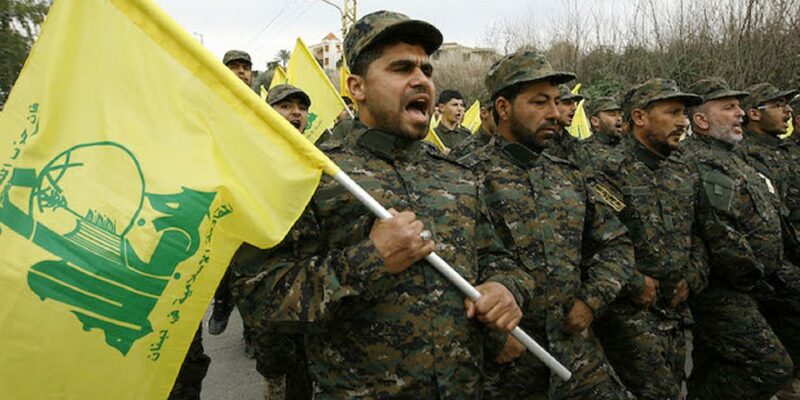 Hezbollah’s military and political wings are proscribed by the Arab League, Gulf Cooperation Council, USA, Canada, France, The Netherlands and Israel among others. Hezbollah calls for Islamist revolution around the world, has carried out terror attacks for over 30 years, and calls for the “liberation of Jerusalem”. The elimination of the state of Israel has been a primary goal since its inception. Backed by Iran, it was estimated in 2015 that Hezbollah has amassed around 150,000 rockets that can reach every city in Israel. Hezbollah is also believed to be behind terror attacks in places as far as Thailand, Georgia, India, Cyprus, Bulgaria and Argentina. In October, the National Counterterrorism Center Director (NCTC) said the State Department’s work to counter Hezbollah is “every bit as much a priority” as its work against Al Qaeda and ISIS amid concerns Hezbollah is “determined” to attack inside the US. Banning Hezbollah in it’s entirely will send a clear message that the UK will not tolerate the support of terrorism. It will also prevent without exemption the very public support of Hezbollah like that seen on the streets of London in June – something that was deeply offensive to the Jewish community and unacceptable considering the Government’s commitment to confront the perpetuation of terrorism and anti-Semitism. Finally, it will send a clear message to Hezbollah that its terrorist aims and ideology, including calls for the destruction of Israel, must be rejected outright whether it is operating politically or militarily.